“We always joke that there’s 30 men to one woman during our trail-work days,” laughed Dave Ochs, executive director for the Crested Butte Mountain Bike Association (CBMBA). In 2017, Ochs founded the Crested Butte Conservation Corps (CBCC) through CBMBA. 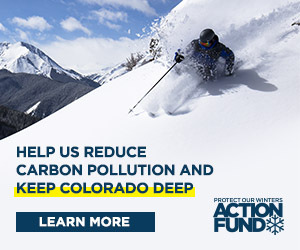 The goal of the CBCC is to “provide the best possible backcountry experience in the forms of stewardship, advocacy, education and resource maintenance to ensure a sustainable and healthy future for our precious surroundings,” a goal that has been backed by numerous private and public funding partners, including the towns of Crested Butte and Mt. Crested Butte. During the 2017 Baxter Gulch trail workday, some of the women working elbow-to-elbow with the men said they wished more women would partake in backcountry work days. From that remark, the Women’s Work Force (WWF) was born. The WWF aims to “empower and educate more women about trail work, maintenance and stewardship,” says Ochs. The CBCC plans to accomplish this by having a “ladies only” crew during the CBMBA trail work days. Ochs says, “Our CBMBA work days aren’t strictly for dudes,” and hopes that by creating a women-specific crew, more women will feel empowered to join in the stewardship of our public land near Crested Butte. The CBCC is already seeing more women getting involved in its mission, with four women on the board and one woman on the payroll for the upcoming 2018 CBCC work season. The WWF isn’t the only new addition in the CBCC’s second year. The CBCC welcomes a new supervisor, Matt Steinwand, who was the crew leader last season. This year the CBCC will have two crews of three workers, who will be out in the field three days each, covering six days out of the week. Their season will also be longer, from mid-May to the end of September. There is only one district ranger for the entire Gunnison Ranger District, which is 1.3 million acres, the largest of the ranger districts in the Gunnison, Grand Mesa and Uncompahgre National Forests, which is a lot of land for one ranger to cover. In its inaugural 2017 season, the CBCC reached 1,311 people, by giving trail information, maps, camping information, use etiquette, directions, “big smiles and high fives,” according to the report given to town of Mt. Crested Butte by Ochs on April 3. The council was impressed and pledged $20,000 to the Crested Butte Conservation Corps, the same amount pledged in 2017. The CBCC also recovered 705 pounds of trash, not including toilets, chairs and a grill, last summer. They were also responsible for cutting “well over 600 downed trees,” according to Ochs, which prevented walk-arounds and other trail damage. The crews were also responsible for getting signage out in front of the public, and Kai Sherman, a CBCC crew member, helped appropriately park 212 cars at Judd Falls on July 5, potentially eliminating significant damage to surrounding land. The importance of the work being done by the CBCC continues to rise as summer tourism increases. According to the Tourism Association, 2017 lodging sales tax collections increased 48 percent for Crested Butte and 35 percent for Mt. Crested Butte during the summer months since 2014, reflecting the increased tourism to the area. You can directly support the CBCC with donations by visiting their website at bit.ly/CBCC-donation.